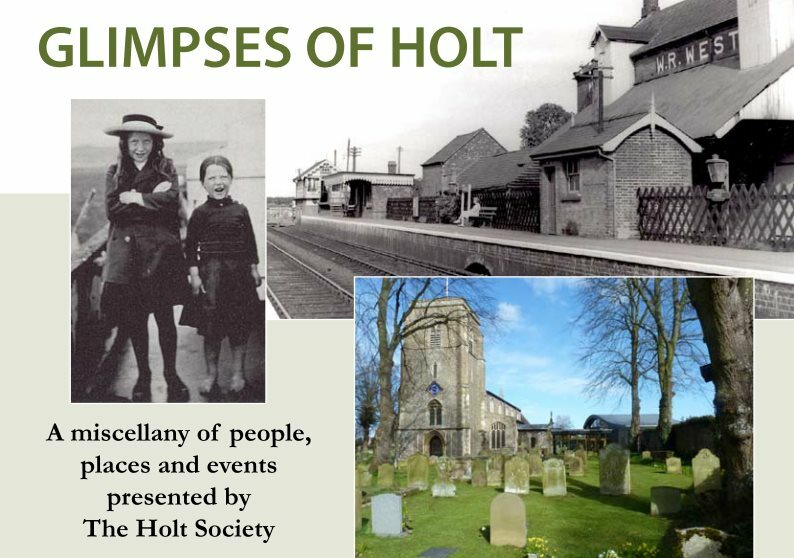 An exhibition 'Holt People and Stories' was put together to run at the Picturecraft Gallery in Holt during the Holt Society's 50th Anniversary week in May 2015. Intriguing photographs of the town's past and present inhabitants, long lost buildings and snippets of stories visualised a thriving town with an interesting history. We have now crafted these exhibits into a 64 page A5 booklet and they are now available for sale at the Holt Bookshop, Picturecraft and through the Tourist Information Office in Holt at a cost of £5.